Welcome, dear geeks and nerds, to Associated Geekery Episode #167! 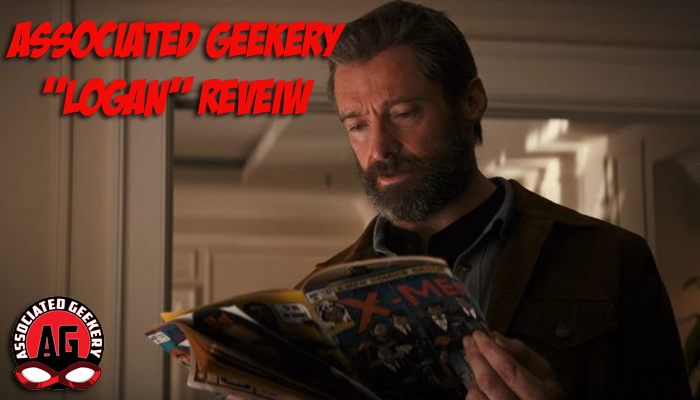 Doc, Mandy, & Ryan are back to review the latest in 20th Century Fox’s mutant mayhem- “Logan”! Like the embattled and embittered title character, we spare no punches and leave no claws unsheathed! And after all of that- there’s recommendations too- Mob Psycho 100, Samurai Jack Season 5, Apocalypse World, and Legend of Korra! Be the first to comment on "Associated Geekery Episode #167"